What does cable operability mean? The basic function of electrical cable in a power plant is to transmit instrument signals, control signals, and electrical power. In most non-nuclear power applications, cables are not required to function under adverse environmental conditions. For these cables, operability means that the cable will continue to conduct the signal or power, while maintaining satisfactory insulation characteristics such that unacceptable levels of signal attenuation or shorting do not occur. However, certain cables in safety-related applications in nuclear power plants may be required to function while exposed to harsh environmental conditions if an accident occurs. For these cables, operability includes the ability to remain functional during normal conditions while maintaining the capability to operate satisfactorily for a specific period in an accident environment (e.g., loss-of-coolant accident). 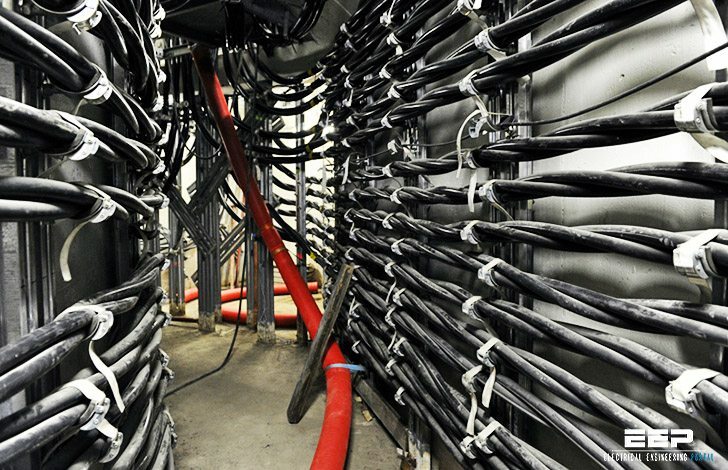 Recently, cable installation and operability concerns were raised about low-voltage cabling in nuclear safety-related service that could potentially be exposed to accident environments. The deviations consisted of excessive lengths of unsupported vertical cable drops, reduced bending radii of cable during and after installation, installation of new cable in raceways in a manner that could damage existing cable, impact damage to cable during installation, and other related handling and installation concerns.